Rarely does a day pass when there isn’t a news headline decrying how few people are saving for retirement, and among those who are saving, most aren’t saving enough. With all the warnings of a retirement crisis and people facing poverty in what are supposed to be our “golden years,” you would think people would be stepping up their efforts to get ready for life after work. Why aren’t people making changes in how much they spend and save? It turns out behavioral economists have an explanation—and a song from way back in the 1940s provides good advice on how to address the problem. I suspect that somewhere in the back of your brain is a fun little song from Johnny Mercer titled “Accentuate the Positive,” sung by Bing Crosby and the Andrew Sisters. The more similar the people described in a message are to those targeted (e.g., new hires, co-workers in the same building), the more likely those targeted will copy the positive behavior. 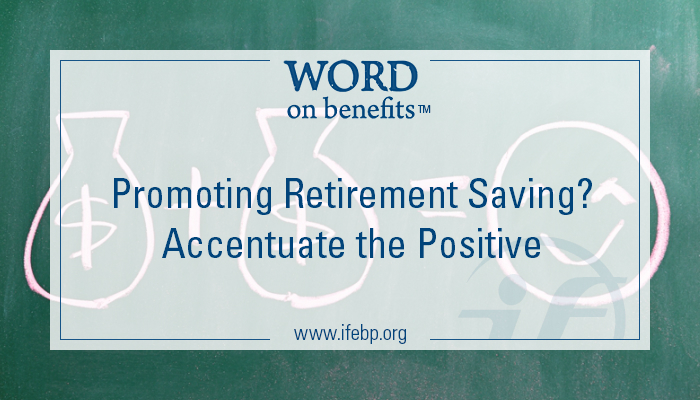 While this example focuses on saving for retirement, emphasizing a desired behavior can work when trying to get people to take a variety of actions in the workplace—for example, taking advantage of a health reimbursement arrangement, participating in a fitness program or signing up for a new training program. I’m not sure that workers aren’t saving, they just have more options and different priorities. 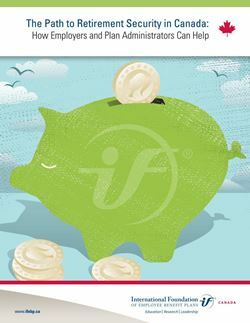 Just today there is a study that employees favor college saving over retirement. 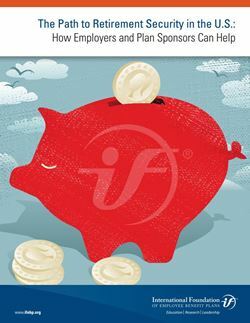 It’s hard to convince employees to put aside money for retirement when they think other things are more important.